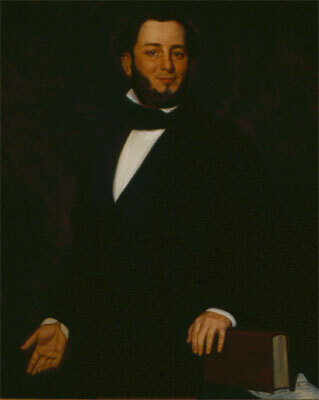 Born to a Sephardic family in the West Indies, Judah P. Benjamin was the most highly placed Jew in the Confederacy. Benjamin spent his adolescence in Charleston and briefly attended Yale University. He studied law privately and was admitted to the bar in New Orleans. 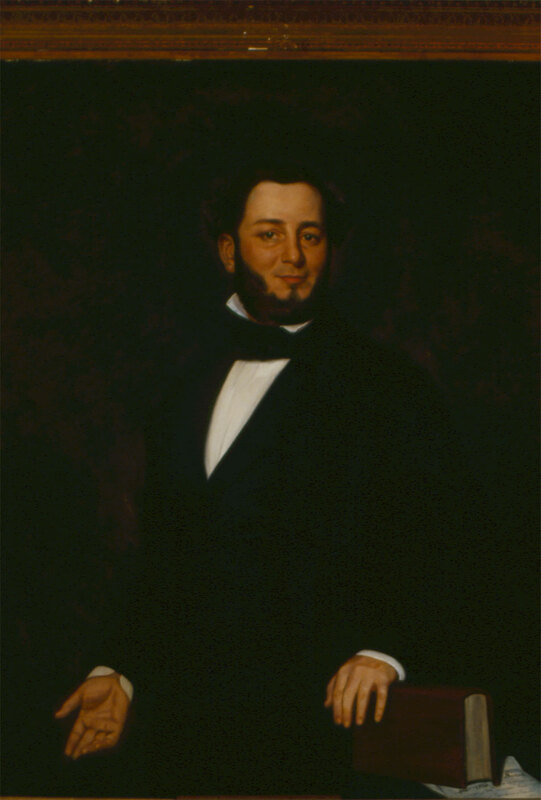 He would have been the first Jewish supreme court justice, but turned down the appointment when it was offered to him by President Franklin Pierce in 1856. Benjamin served as attorney general and secretary of war of the Confederacy, and then as secretary of state. Benjamin did not practice his religion or advocate Jewish causes, yet he was a lightning rod for anti-Semitic outbursts. As secretary of war, he quarreled with the generals by questioning their strategies. As secretary of state he outraged planters—he had been a successful sugar planter himself—by proposing to emancipate slaves who fought for the South, in the hope of winning French recognition of the Confederacy. Tennessee Senator Henry Foote referred to him as Judas Iscariot Benjamin. But in the final days of the war, Benjamin had President Jefferson Davis’s ear.